New findings at Tuthmosis III Mortuary temple, Akhnaton was found too! According to Dr. Mohamed Ibrahim, Minister of Antiquities, the Egyptian-Spanish mission working in the site of Tuthmosis III mortuary temple on the West Bank of Luxor, found the lower parts of two black granite statues. 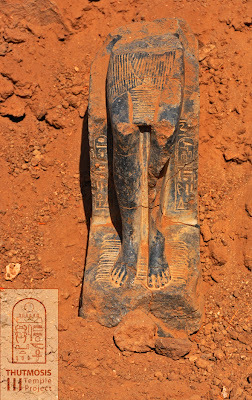 One of the discovered parts of the statues found bears an inscription of King Tuthmosis III name. The parts were found inside a mud brick structure in the northern part of the temple. 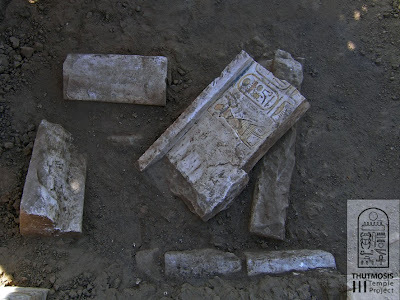 The mission also found parts of limestone doors of one of the temple buildings with texts and cavernous/sunken inscriptions of two cartouches of Tuthmosis III. Dr. Mohamed Abd El Maqsoud, Head of the Ancient Egypt department, pointed out that the scenes and inscriptions carved very neatly and with maximum accuracy which is common for art in the middle of the 18th Dynasty. He also said that one of these doors has an inscription of the High Priest “Khonsu”, beside the discovery of a group of royal seals of Akhnaton and Ramses II. 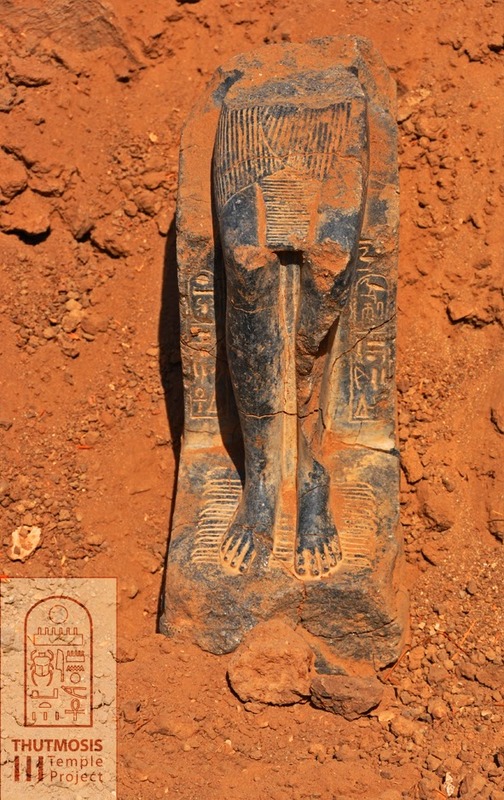 Dr. Abd El Maqsoud referred that finding the name or Ramses II and Priest Khonsu confirms that a part of the temple was used till the time of Ramses II and Akhnaton seals shows that it was used for religious rituals in the beginning of King Akhnaton’s reign. 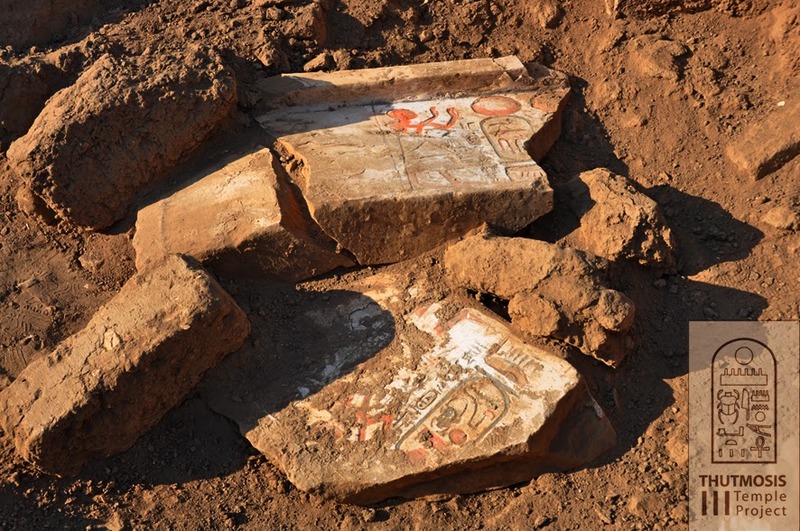 The excavation, restoration, conservation and site management project of the Mortuary Temple of Thutmosis III, located on the West bank of Luxor, first began in 2008. This has been a collaborative project between the Supreme Council of Antiquities of Egypt and the Academy of Fine Arts of Seville, Spain.